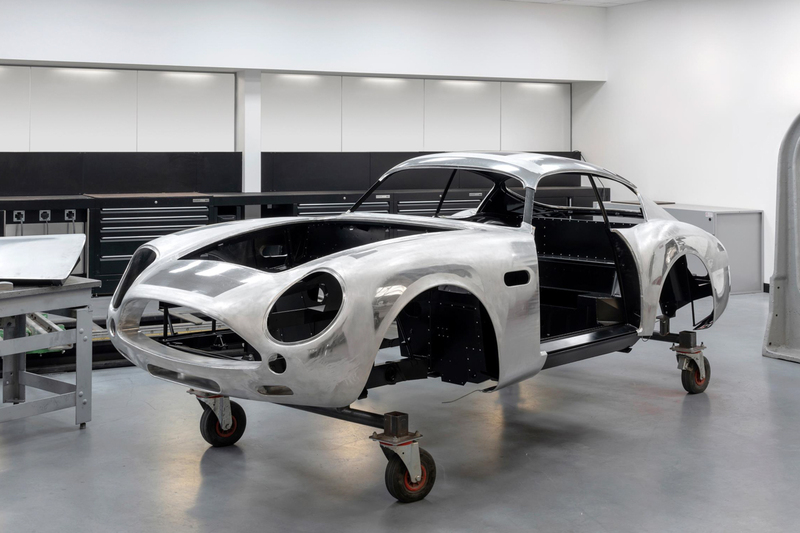 First body completed as DB4 GT Zagato Continuation build commences at Aston Martin Works. A digital body buck has, for instance, been created to allow Aston Martin engineers to examine minute details of the forthcoming Continuation cars in ways that were, clearly, unavailable to the original cars’ makers. Yet the hand-finished body panels of the new cars, each worked from flat sheets of 1.2mm thick aluminium and representing hundreds of hours of world-class craftsmanship, are created using techniques that were commonplace almost 60 years ago. Beneath the Continuation cars’ bonnet will sit a version of the celebrated Tadek Marek-designed straight-six cylinder engine with two spark plugs per cylinder, transmitting its circa 380bhp to the rear wheels through a four-speed manual transmission and limited-slip differential, for an authentic and unforgettable driving experience.